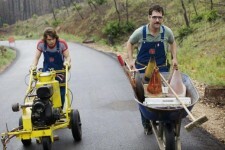 An odd couple of sorts, meditative and stern Alvin and his girlfriend’s brother, Lance, dopey and insecure, leave the city behind to spend the summer in solitude repainting traffic lines down the center of a country highway ravaged by wildfire. As they sink into their job in the remarkable landscape, they learn more than they want to about each other and their own limitations. An unlikely friendship develops through humor and nasty exchanges, leading to surprising affection. 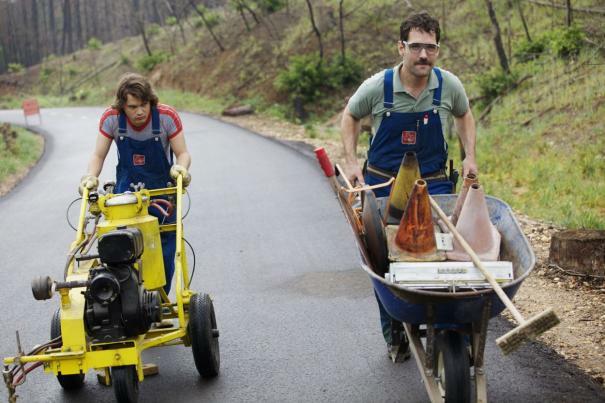 Adapted from Icelandic film "Either Way," "Prince Avalanche" is driven by wonderful performances by Paul Rudd, Emile Hirsch, and Lance LeGault. Writer/director David Gordon Green gets back to his independent roots with this character study, which shows his knack for realistically capturing people and finding meaning in their lives and dreams. With a soundtrack by Explosions in the Sky and David Wingo and gorgeous cinematography by Tim Orr, "Prince Avalanche" bucks convention by exploring male bonding in a refreshingly genuine way.